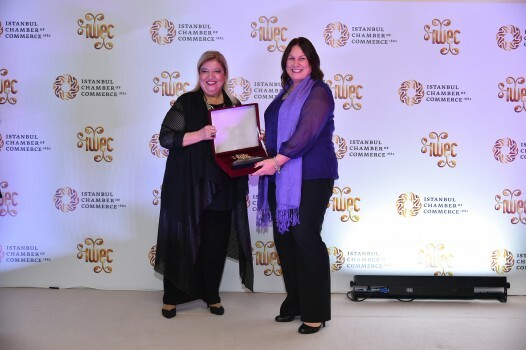 Helen Jamieson, owner of Jaluch Ltd, an established Human Resources and Training business has just received an International Women’s Entrepreneurial Challenge (IWEC) Award in Istanbul. Helen is a regular blogger on Prowess and her company Jaluch is also a founder member of the Charter for Women in Business. Competing against women from all over the globe, Jamieson was one of 27 women honoured last week at an event hosted by the Istanbul Chamber of Commerce. Jamieson was the only awardee from the UK. Global Fountain is seeking to ‘give back’ and aims to develop the skills of entrepreneurs all over the world, including the women in Saudi Arabia Jamieson has been working with in recent years. Prior to launching Global Fountain, Jamieson is currently asking UK business owners to submit their own stories, including challenges and successes to share with other business owners who are just setting out on their business journey. To find out more about this exciting venture email helen@jaluch.co.uk. Jamieson is particularly interested in receiving stories from those who have set up in business after coming out of prison, who have previously been homeless, those who have set up in business in later life and those with disabilities who have struggled to find employment and who have as a result set up on their own. Jaluch supports around 350 organisations – mostly in the UK but some international businesses too. Helen is also the author of various books including My Business, My Success, a practical guidebook for women in business.